March-2019: Research paper of Mr. Hanuman Kalmode, Mr. Suhag S. Patil, Mr. Kishor L. Handore and Mr. Paresh Athawale entitled "Neural Anti-inflammatory Natural Product Periconianine A: Total Synthesis and Biological Evaluation" has been published in European Journal of Organic Chemistry. DOI: doi.org/10.1002/ejoc.201900048. March-2019: Research paper of Mr. Pronay Das and Mr. Yash Mankad entitled "Scalable Synthesis of Cladosporin" has been accepted in Tetrahedron Letters. DOI:doi.org/10.1016/j.tetlet.2019.02.012. June-2018: Research paper of Ms. Vidya Gunjal "Synthetic studies towards Pseudoxylallemycin B, an antibiotic active against gram-negetive bacteria: Total Synthesis of 3-epi Pseudoxilallemycin B" has been accepted in Tetrahedron Letters. DOI:doi.org/10.1016/j.tetlrt.2018.06.028. 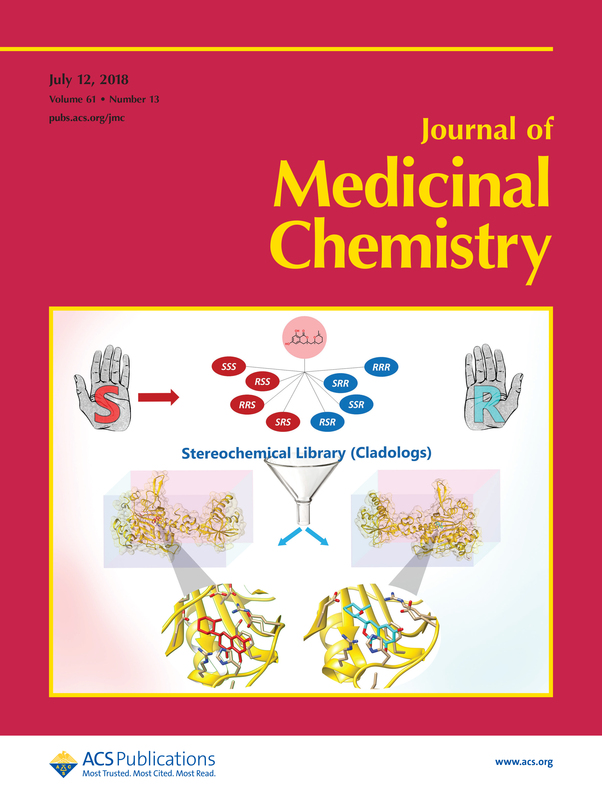 May-2018: The research paper of Mr. Pronay Das and Mr. Gorakhnath R. Jachak entitled "Specific Stereoisomeric Conformations Determine the Drug Potency of Cladosporin Scaffold against Malarial Parasite" has been accepted in Journal of Medicinal Chemistry. DOI: 10.1021/acs.jmedchem.8b00565. Congratulations! 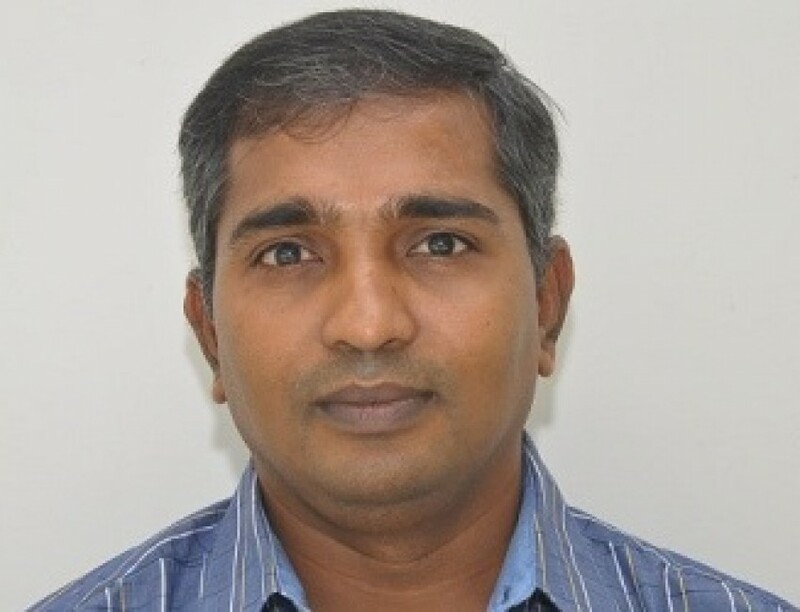 May-2018: The research paper of Dr. N. Vasudevan entitled "A multistep continuous flow synthesis of cystic fibrosis medicine Ivacaftor" has been accepted in Reaction Chemistry & Engineering. DOI: 10.1039/C8RE00025E. Congratulations! February-2018: The research paper of Paresh R. Athawale, Gorakhnath R. Jachak entitled "Efforts to Access the Potent Antitrypanosomal Marine Natural Product Janadolide: Synthesis of Des-tert-butyl Janadolide and its Biological Evaluation" has been accepted in ACS Omega. DOI:10.1021/acsomega.7b01920. Congratulations! 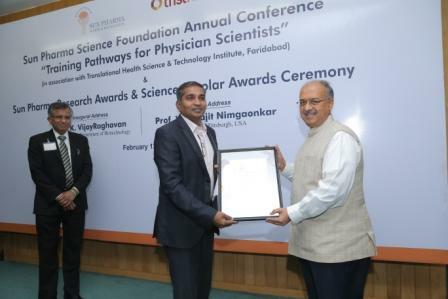 February-2018: Dr. D. Srinivasa Reddy has been awarded the prestigious "Sun Pharma Research Award" (Ranbaxy Research Award) in the field of pharmaceutical sciences. Congratulations! October-2017: Review article of Dr. Remya Ramesh and Dr. D. Srinivasa Reddy entitled "Quest for Novel Chemical Entities through Incorporation of Silicon in Drug Scaffolds" has been accepted in the Journal of Medicinal Chemistry. DOI10.1021/acs.jmedchem.7b00718. Congratulations! October-2017: Dr. D. Srinivasa Reddy has been awarded with the prestigious OPPI (Organisation of Pharmaceutical Producers of India) Award, 2017. Congratulations ! August-2017: Research paper of Rahul D. Shingare and Akshay S. Kulkarni entitled "Route to Benzimidazol-2-ones via Decarbonylative Ring Contraction of Quinoxalinediones: Application to the Synthesis of Flibanserin, A Drug for Treating Hypoactive Sexual Desire Disorder in Women and Marine Natural Product Hunanamycin Analogue" has been accepted in ACS Omega. DOI: 10.1021/acsomega.7b00819. Congratulations to both! July-2017: N. Vasudevan has successfully defended his thesis. Congratulation Dr. N. Vasudevan! June-2017: Research paper of Dr. Hanuman P. Kalmode and Kishor L. Handore entitled "Access to Fused Tricyclic γ-Butyrolactones, A Natural Product-like Scaffold" got accepted in J. Org. Chem. DOI: 10.1021/acs.joc.7b00794. Congratulations ! April-2017: Dr. D. Srinivasa Reddy has been appointed as an editor of Bioorgnic & Medicinl Chemistry Letters, Elsevier Publications. Congratulation ! Click here for details. April-2017: The research paper of Dr. Satishchandra Philkhana titled "Identification of new anti-inflamatory agents based on nitrosporeusine natural products of marine origin" got accepted in Eur. J. Med. Chem DOI: 10.1016/j.ejmech.2017.04.015. Congratulations ! March-2017: The research paper of Dr. Satishchandra Philkhana titled "Total synthesis of natural Fregenedadiol and its diacetate, rearranged labdanes with aromatized B ring" got accepted in Tetrahedron Letters, DOI: doi.org/10.1016/j.tetlet.2017.02.010. Congratulations ! March-2017: The research paper of B. Seetharamsingh titled "
Identification and Synthesis of Mycalol Analogues with Improved Potency against Anaplastic Thyroid Carcinoma Cell Lines"
got accepted in J. Nat. Prod. DOI: 10.1021/acs.jnatprod.7b00043. Congratulations ! 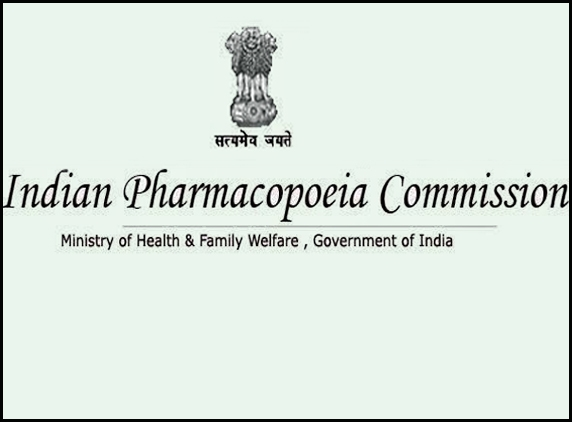 March-2017: Dr. Srinivasa Reddy has been nominated as a member of Indian Pharmacopoeia Commision (IPC), Govt. Of. India. which maintains the standard of drugs in the country. Congratulations Sir ! Click here for details. February-2017: Kishor successfully defended his thesis. Congratulations Dr. Kishor! February-2017: Seetharamsingh successfully defended his thesis. Congratulations Dr.Seetharamsingh! February-2017: The research paper of B. Seetharamsingh tiltled "Determination of Absolute Configuration of Gliomasolide D through Total Syntheses of the C-17 Epimers" got accepted in J. Nat. Prod. DOI:10.1021/acs.jnatprod.6b00926. Congratulations ! January-2017: Satishchandra Philkhana successfully defended his thesis. Congratulations Dr. Satishchandra Philkhana! December-2016: Remya successfully defended her thesis. Congratulations Dr. Remya Ramesh! December-2016: Gajanan successfully defended his thesis. Congratulations Dr. Gajanan Raut! September-2016: K. Kashinath successfully defended his thesis. Congratulations Dr. K. Kashinath! 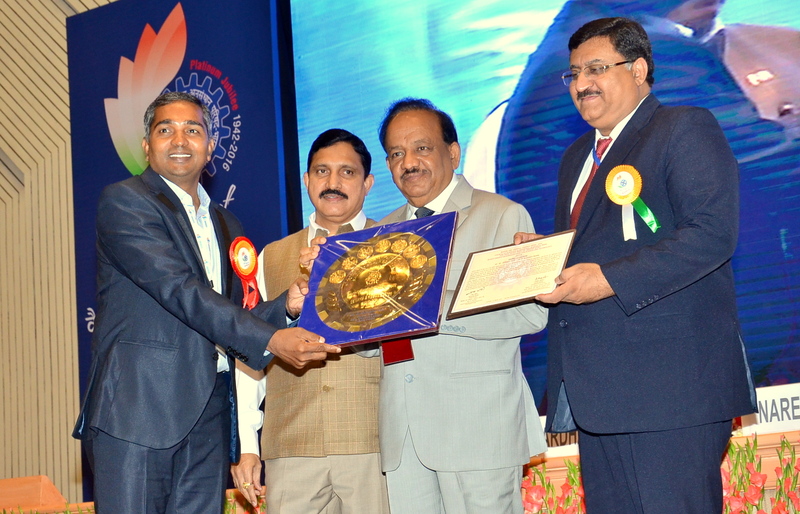 September-2016: Dr D. Srinivasa Reddy receiving the prestigious "SHANTI SWARUP BHATNAGAR" award at the occasion of the 75th Foundation day of CSIR. August-2016: The research paper of Satish Chandra Philkhana tiltled "Synthesis and biological evaluation of palmyrolide A macrocycles as sodium channel blockers towards neuroprotection" got accepted in Org. Biomol. Chem. DOI: 10.1039/c6ob01372d. Congratulations ! July-2016: The research paper of Santu Dhara, Vidya B. Gunjal and Kishor L. Handore tiltled "Solutin-Phase Synthesis of the Macrocyclic core of Teixobactin" got accepted in Eur. J. Org. Chem. DOI: 10.1002/ejoc201600778. Congratulations ! July-2016: The research paper of Remya Ramesh, Rahul D. Shingare tiltled "Repurposing of a drug scaffold: Identification of novel sila analogues of rimonabant as potent antitubercular agents" accepted in European Journal of Medicinal Chemistry.DOI: 10.1016/j.ejmech.2016.07.009. Congratulations ! July-2016: The research paper of Rohini S. Ople, Kishor L. Handore tiltled "A Total Synthesis of (-)-Nardoaristolone B" accepted in Eur. J. Org. Chem. DOI: 10.1002/ejoc201600538. Congratulations ! 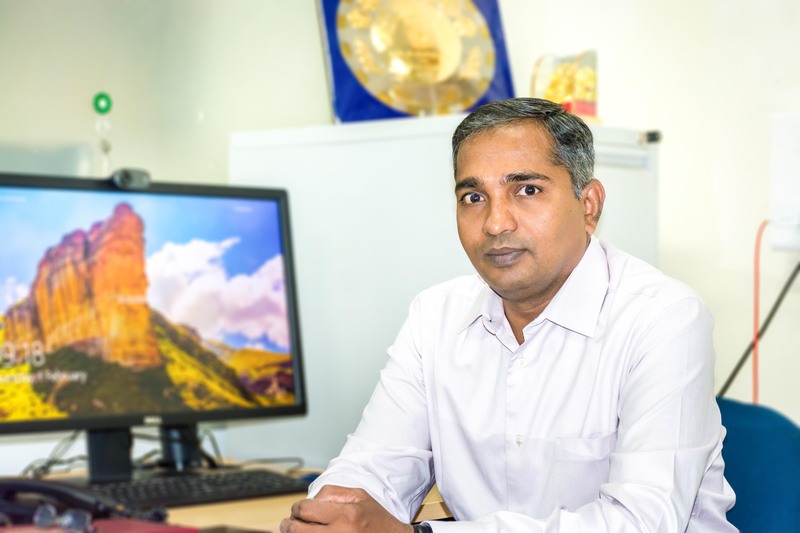 July-2016: The research paper of K. Kashinath tiltled "Molecules with O-acetyl group protect protein glycation by acetylating lysine residues" accepted in RSC Advances. DOI: 10.1039/C6RA11313C Congratulations ! 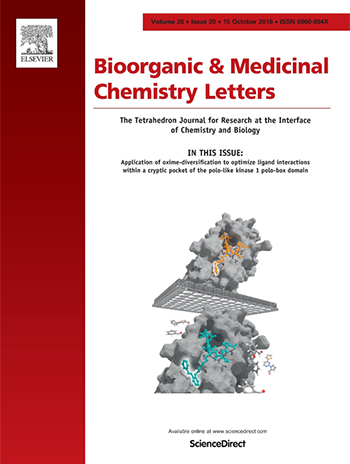 July-2016: The research paper of Rahul D. Shingare and Sa ada Farhana tiltled "Multi-gram scale synthesis of hunanamycin A, an antibiotic natural product from the marine source" accepted in Tetrahedron Letters. DOI: 10.1016/j.tetlet.2016.07.003 Congratulations ! June-2016: The research paper of K. Kashinath, Goraknath R. Jachak and Paresh R. Athawale tiltled "Total Synthesis of the Marine Natural Product Solomonamide B Necessitates Stereochemical Revision" accepted in Organic Letters. DOI:10.1021/acs.orglett.6b01395 Congratulations ! Mar-2016: The research paper of Paresh R. Athawale and K. Kashinath tiltled "Enantiospecific Formal Synthesis of Inthomycin C" accepted in ChemistrySelect. DOI: 10.1002/slct.201600128 Congratulations ! Dec-2015: The research paper of Mr. B. Seetharamsingh and Pankaj Khairnar tiltled "First Total Synthesis of Gliomasolide C and Formal Synthesis of Sch 725674" accepted in J. Org. Chem. DOI: 10.1021./acs.joc.5b02318 Congratulations ! Nov-2015: Recent work, tiltled "Breaking and Making of Rings: A Method for Preparation Of 4-Quinolone-3-Carboxylic Acid Amide and Most Expensive Drug Ivacaftor" by Mr. Gorakhnath Jachak and N.Vasudevan accepted in Eur. J. Org. Chem. DOI: 10.1002.ejoc.201501048 Congratulations ! Oct-2015: The research paper of Mr. B. Seetharamsingh titled "Design, Synthesis and Identification of Silicon Incorporated Oxazolidione Antibiotics with Improved Brain Exposure"accepted in ACS Med. Chem. Lett ; DOI: 10.1021/acsmedchemlett.5b00213. Congratulations ! Oct-2015: Recent work on "Identification of noreremophilane-based inhibitors of angiogenesis using Zebrafish assays" by Mr. Kishor. L. Handore, Dipti N Kakade and Madhuri Vikas Shinde accepted in Org. Biomol. Chem. ; DOI: 10.1039/C5OB01594D. Congratulations ! Sep-2015: Mr. Kishor. 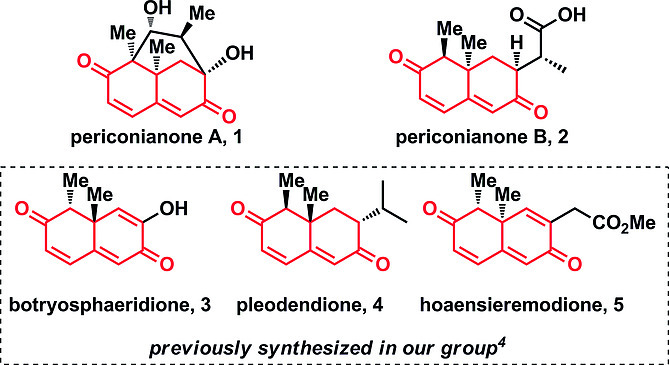 L. Handore's recent work on " Total Syntheses and Biological Evaluation of Botryosphaeridione, Pleodendione, 4-epi-Periconianone and Analogues" accepted in ACS Med. Chem. Lett; DOI: 10.1021/acsmedchemlett.5b00241. Congratulations !